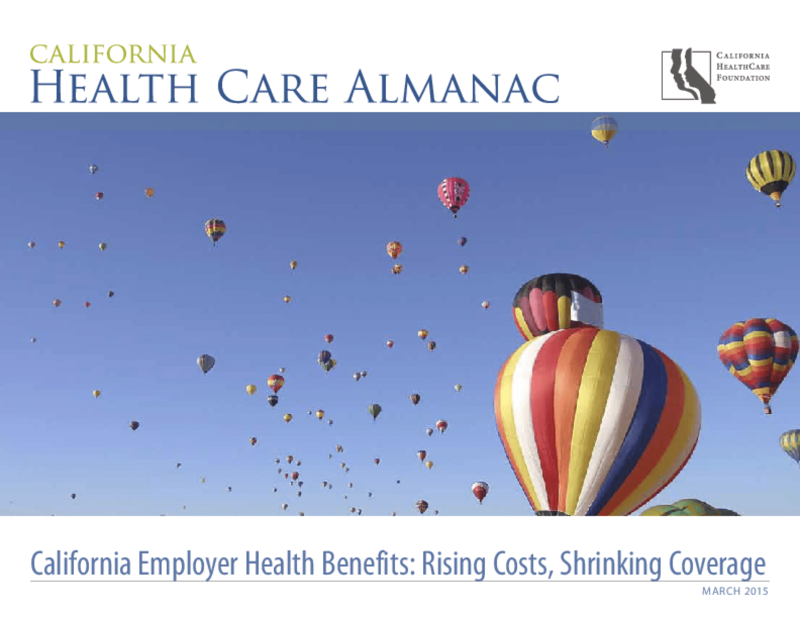 The CHCF Almanac regularly publishes data and analysis on California's health care market. The percentage of employers offering coverage continues to decline in California, and many covered workers are seeing reduced benefits and increased cost sharing -- trends with major implications for the household budgets of millions of people. Only 58% of firms reported providing health insurance to employees, down from 69% in 2000. The data, compiled from the "2014 California Employer Health Benefits Survey", are contained in the CHCF-sponsored report California Employer Health Benefits: Rising Costs, Shrinking Coverage. The survey found that 4 in 10 firms said they expected to increase employees' premium contributions in 2015, while 19% said they were likely to raise deductibles. Copyright 2015 California Health Care Alliance.